I have been using Google Mail (gmail) for my private mail for a couple of years. At the office we started using it about a year ago. One issue I have with Gmail is that it is hard to manage when you have lots of emails that need your action or the action of someone else. To help me out with this I looked around for possible solutions to this. For about 6 months I have used ActiveInbox. It is a browser plugin for Chrome and Firefox which will enhance your Gmail experience. The main features I use in ActiveInbox is the ability to set a date when I need to act on an email, or when I need the response to an email I sent earlier. These tagged emails will be hidden until the set date occur, then they will be showed on your main Gmail screen. When reading or writing an email you can set Action or Waiting on and a date. Then just archive the email and it will be hidden until the date occurs. 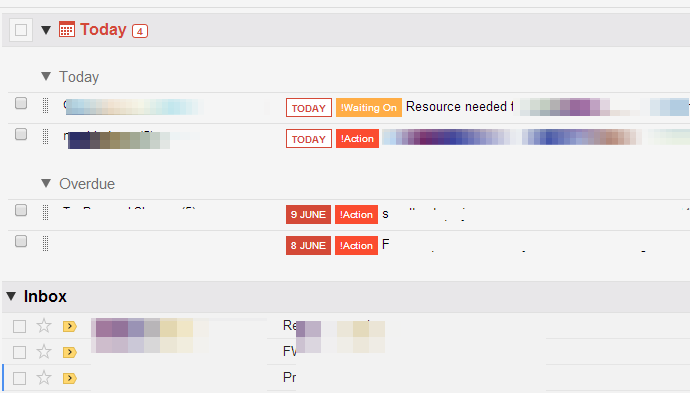 When going back to your main view (startup view) you can see all the mails that needs your attention. All incoming mails will be displayed below in your standard inbox. You can of course customize this view. There are a lot of other features in ActiveInbox but for my main needs I do alright with using the features mentioned above. 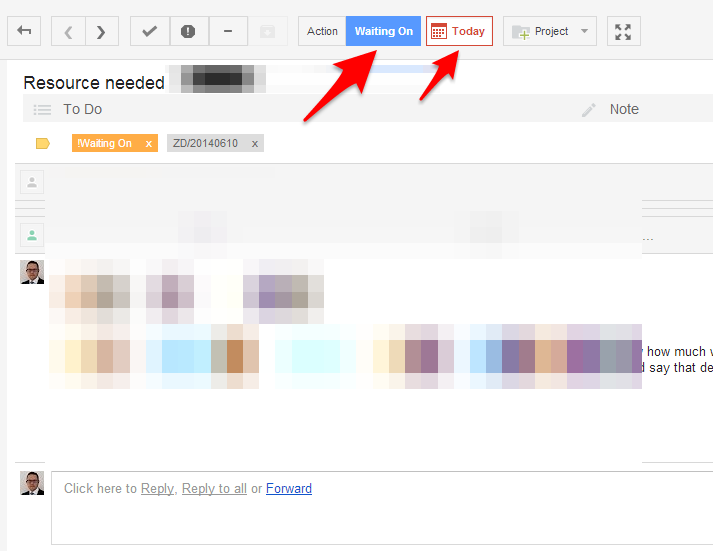 Pros: Makes it easy to stay on top of your emails in Gmail. Cons: only available in Chrome and Firefox, thus if you do some of your emailing on your phone the extra features of ActiveInbox will not be available. Get it from ActiveInbox, there is a free trial and when that expires you need to pony up about $40 per year to get all the features. Good luck with your emailing!